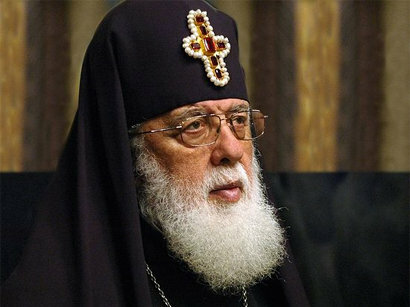 Catholicos-Patriarch of All Georgia Ilia II is concerned about the situation in Syria, which can develop into a full-scale war, he said on Wednesday during a meeting in Tbilisi with the U.S Deputy Assistant Secretary of State, Thomas Melia. “We are very worried because of the situation that has developed in Syria today. And we are very concerned that this situation can develop into a large-scale war,” Ilia II said. Some Western countries, as well as Turkey called for intervention in Syria after a deterioration of situation in the country. On August 21, some media outlets reported about a large-scale implementation of chemical weapons by the Syrian government in the vicinity of Damascus, which killed more than 600 people. Earlier, the U.S. President said that the use of chemical weapons would be a ‘red line’ for Bashar Assad’s regime. Media outlets reported about the preparation of Navies and Air Forces of the West for commencing an intervention in Syria. Clashes between the government forces and the armed opposition have been continuing in Syria for over two years. The UN statistics said that the total number of victims of Syrian conflict exceeded 100,000 people. Syrian authorities said they are opposed by well-armed militants.